It was mighty cold and windy out there, for a Las Vegas baseball opener, but it warmed my heart. I came away with another addition to my Hall of Fame of Great Sports Names. This year’s early candidate for induction was patrolling right field Tuesday night when the Las Vegas Aviators opened Las Vegas Ballpark against the Sacramento Rivercats. Skye Bolt might be hitting at the bottom of the Aviators’ lineup, but you, my man, are a gift from the hardball heavens. If Cooperstown ever considers adding a wing for most colorful names, you'll in great company. 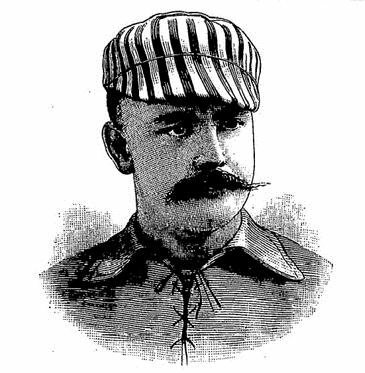 Batting leadoff on my dream team of awesome names would be Bud Weiser. Had some hops in his bar, with 18 homers in 1914, unheard of in that era. In the cleanup spot, Matt Batts. In center I’m going with the speedy-sounding Rabbit Maranville. He had staying power. Played in a record 23 seasons in the National League, a mark that lasted until Pete Rose broke it in 1986. Jumbo McGinnis sounds like a designated hitter but he was only 5-foot-10. Three-time 20-game winner. Wonderful Terrific Monds was a 50th round draft pick of the Atlanta Braves in 1993. Great name, so-so game. Stubby Clapp. Because who wouldn’t pay to say they saw him play? You could probably find Pretzel Pezzullo at the concession stand, between innings. Coco Crisp would add snap, crack and pop. Bunny Fabrique would have been a fantastique fan favorite in Montreal. Heine Meine, Yats Wuestling and Snuffy Stirnweiss: Heine to Yats to Snuffy, an epic Cincinnati double-play combo. And every team needs a sparkplug named Sy Studley. The official scorer has to be Jigger Statz. On the unable to perform list, Lil Stoner. Merkin Valdez, a former top prospect with San Francisco Giants who went by Manny Mateo. That’s all I’m going to say.